Helio Oiticica from his youth was interested in concrete art and studied painting at the Escola do Museu de Arte Moderna (Rio de Janeiro, 1954). He joined the Grupo Frente when its members presented their second exhibition at the Museu de Arte Moderna in Rio de Janeiro, in 1955. The Grupo Frente dissolved after the Exposição Nacional de Arte Concreta (Museu de Arte Moderna, São Paulo, 1956; Ministerio da Educação e Cultura, Rio de Janeiro, 1957) and this delayed his inclusion in Neoconcretismo, because he did not get to sign its manifesto. However, in his series of gouaches Oiticica began in 1957, entitled Metaesquemas, he showed an interest in the problems posed by neoconcrete artists that dealt with extra-pictorial space. 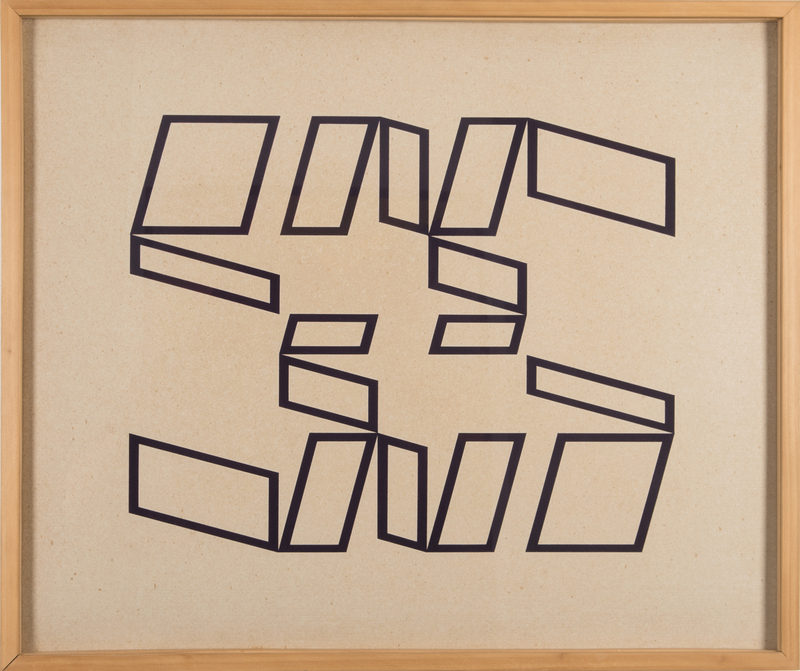 With Bilaterais (1959), monochrome planes that hung from the wall by separated threads, he began the transition of his work towards the dealing with space, a process that culminated in the Relief espaciais (1959), his first true three-dimensional work. In 1960 he participated in the second neoconcrete exhibition and created the Núcleos and the first Penetráveis, labyrinths of screens of bright colors, suspended from the ceiling or fixed on the floor. When, in 1963, he created the Bolídes, manipulated structures (wooden boxes, bottles and other containers) filled with pigments and other objects, he reached the stage critics have considered predominantly “visual”, that is, a stage in his work characterized by “sensorial” experience. In the mid-sixties, Oiticica established a relationship with the samba school Estação Primeira de Mangueira and with the favela in which this school was located. In this context he created the Parangolés, capes, flags and banners used to dress up or to show in collective manifestations that included music, dance, art and poetry. From the Parangolés, Oiticica produced the installations Manifestações ambientais, including Tropicália, displayed at the exhibition Nova objetividade brasileira (Museu de Arte Moderna, Rio de Janeiro, 1967); Projeto Edén, conceived for his exhibition at Whitechapel Gallery (London, 1969); and Ninhos, presented at the Museum of Modern Art (New York, 1970). In 1970 he received a grant from the John Simon Guggenheim Memorial Foundation, and he settled in New York where he remained until 1978. In New York he worked again in the Penetráveis and collective manifestations using Parangolés, accompanied by rock music in place of samba. He also made ambientationes Newyorkaises and experimented with film and video, producing the projects Agripina é Rome Manhattan (unfinished, 1972) and Cosmococa (1973), non-narrative films that protested against the passivity of the public in the theatre. He returned to Rio de Janeiro in 1978. Under the new concept of Contrabólide, he made Devolver a terra à terra, and carried out the collective manifestations Caju-Kleemania, a tribute to Paul Klee, in the district Caju; and Esquenta pr’ or Carnival, in the Morro da Mangueira (1980). Oiticica died at the age of 42.